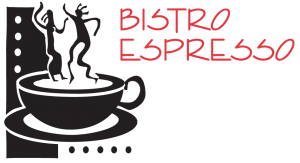 Bistro Espresso has a new website and several services coming!! Join us for great organic, fair trade coffee drinks, delicious sandwiches & salads, ice cream, beer & wine and homemade pastries! Special Events being announced daily! Keep checking back! Stop in any time between 6AM and 6PM Daily. Visit it us Facebook for daily updates.